A well-managed hedge will give years of protection and interest. From a hand-clipped hedge ‘manicure’ to a full restoration project, we have the equipment and expertise to ensure an efficient, reliable and safety conscious, giving you the best finish for your hedge. 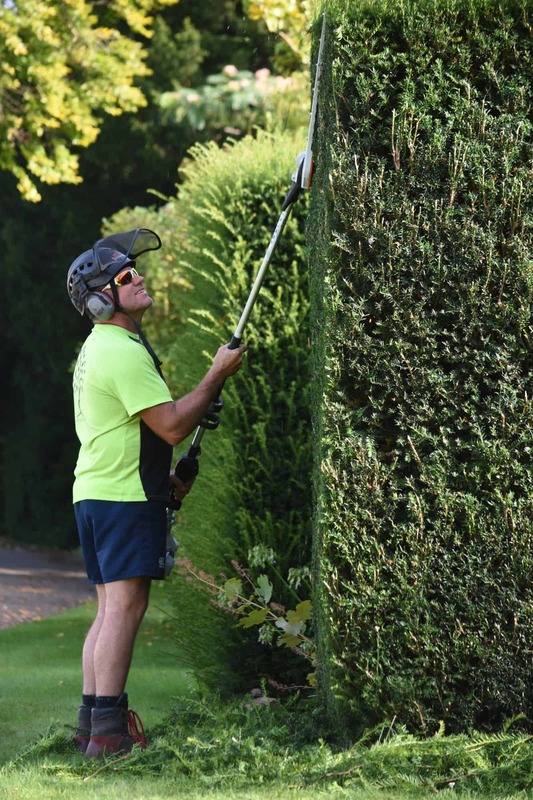 We’ve been trimming some of the most prestigious hedges in Oxfordshire and surrounding counties for over twenty years. We know what we’re doing. Our Mobile Elevated Working Platforms give us exceptional access for a fantastic finish. Our hand-clipped service gives a beautiful manicured look. We offer an annual or biannual hedge-cutting service, to help keep your hedges in good shape. Speak to one of our experts to find out more. It doesn’t take long for a well-behaved hedge to turn into something resembling the Great Wall of China. Using our Mobile Elevated Working Platforms we can trim and transform the tallest and largest of hedges. If your hedge has become overgrown, unruly or unhealthy looking, don’t worry, you don’t need to start over again. Our team can create a bespoke restoration plan specifically for your hedge, that will get it back into shape and good health, and leave it a more manageable size.